So, you’re in the market for a new television, but you’re not sure which one to choose? Welcome to the club. Each and every day someone is poring over new television terminology and trying to make sense of all the different numbers, data, and specifications. But fear not. By following these tips, you’ll cut through the inconsequential material and select the perfect TV to fit your needs and wants. One aspect of televisions that really increases the price rather quickly is size. However, you don’t want to squint when watching TV in your bedroom, and you don’t want your friends opting out of the chance to watch the big game at your house because of your puny screen size. To make sure this doesn’t happen to you, always go bigger than you think. A general rule is to select no smaller than 32 inch for the bedroom or 50 inch for the living room. Picture production is the second consideration for purchasing your television, and the three main types offer different advantages and disadvantages. LED, or light emitting diode, is the latest type on the market, and offers better light output and resolution, such as in the new LG Ultra HDTV 4K, which uses OLED technology first marketed by LG. Plasma screens are best for those wanting a smoother picture with less blurring and a sharp contrast rate (difference between the darkest and lightest portions of the picture). LCD, or liquid crystal display, is basically a precursor to LED technology, and picking one up at a fraction of the cost is a real possibility. Choose the one whose price and features suit you the best. Extra Features: Are They Necessary? Unless you’re an avid television enthusiast, extra features, namely smart TV, 3D TV, and 4K TV, are less important than size and picture quality. However, they do offer some advantages. One is that a smart TV connects to the Internet, allowing streaming services. This is important for people who want to ditch the cable box (and extra cost) in lieu of streaming. 3D is a great feature for those who love that extra “in your face” experience, but it still isn’t supported by many movies, TV shows, or sports. 4K is a high-resolution upgrade for that perfect picture, especially if you love movies. One deal breaker for most television buyers is price. 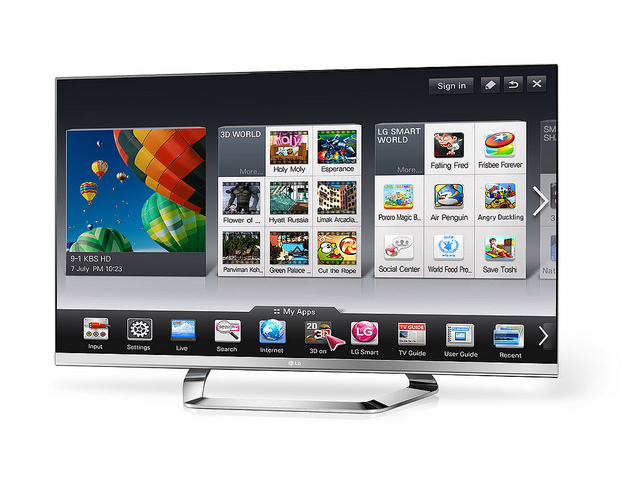 Do you really need a $3,000 TV when one at half that price has most of the features you want? The answer may be no. As with other consumer products, don’t let the price fool you into thinking you’re getting a better deal. Instead, figure out which features you like, then pick from a brand you trust or have used in the past. Buying a new television is certainly more confusing and overwhelming than it was a few years ago, but by putting in some basic research, you can choose one that’s perfect for all your needs. The only thing you need to worry about is avoiding too much time on the couch.